If you've had your fill of the rat race and are heading to Central Illinois, consider selecting a hip place to hang your hat within a short driving distance of Paris. lastminute.co.nz offers a number of options. 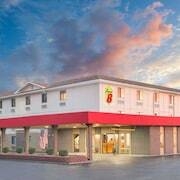 Some hotels that are not all that far from downtown Paris are the Super 8 Motel Paris Il and Pinnell Motor Inn. 20 kilometres from the centre of Paris is the Super 8 Marshall. The Renatto Inn is 25 kilometres away. You'd be a goose to head off without taking a look at the other things on offer in Central Illinois. Visit the traditional villages, history museums and farms in Central Illinois, and also admire the region's rural landscapes and prairies. Visitors in this part of United States of America often enjoy snowmobiling, shore fishing and picnicking. Looking for things to do? Spend some time exploring the Parkland College and Krannert Art Museum, which you'll find in Champaign, 75 kilometres to the northwest of Paris. 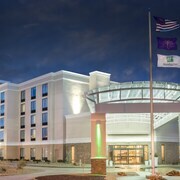 If you'd like to spend a night or two in Champaign, check out the Hyatt Place Champaign-Urbana and Homewood Suites by Hilton Champaign-Urbana. 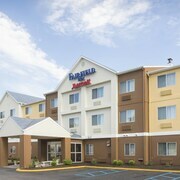 Or, you could stay in Urbana, 70 kilometres to the northwest of Paris, where you can choose from the Hilton Garden Inn Champaign/Urbana and Holiday Inn Express Hotel & Suites Urbana-Champaign. The Crystal Lake Park and University of Illinois at Urbana-Champaign are just some of the more popular attractions to see when visiting Urbana. Sport lover? Enjoy your obsession by visiting State Farm Center, 70 kilometres to the northwest of Paris. 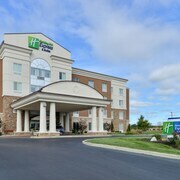 Those sports fans wishing to sleep close to the stadium can make a choice from the Hyatt Place Champaign-Urbana or the Homewood Suites by Hilton Champaign-Urbana. University Of Illinois Urbana-Champaign Williard Airport is the most logical airport when getting to Paris. It's located just 70 kilometres away. 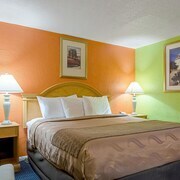 The Best Western Paradise Inn is close by.